One of the biggest roles New York City has played in the history of American warfare is as home to the Brooklyn Navy Yard. It just came across our desk that yesterday marked the 150th anniversary of the launch of the USS Monitor from Brooklyn's famed shipyard. The first iron-clad warship to be built in New York during the Civil War, the Monitor was rushed into production in October 1861 and built in just 118 days. The Monitor is most famous for the Battle of Hampton Roads, where she met the CSS Virginia (also known by its original name, the Merrimack). When Virginia seceded from the Union, the ships in the navy yard in Norfolk were scuttled to keep them from being seized by the Confederacy. Though the Merrimack was burned to the waterline, it was salvageable and the Confederates converted it into the iron-clad Virginia. When the North caught wind of this, the Monitor was hastily commissioned. Designed by John Ericsson, the bulk of the Monitor sat below the waterline to shield it from enemy fire. One of Ericsson's innovations was to have a fully armored gun turret atop the ship that could fire in every direction. 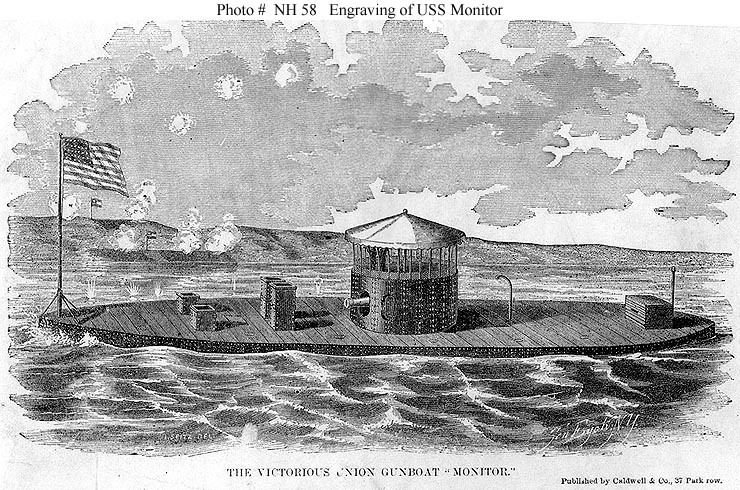 The Monitor and the Virginia met on March 9, 1862, during the Battle of Hampton Roads. The Confederates were attempting to destroy the Union blockade of Norfolk and Richmond. The previous day, the Virginia had inflicted serious damage on the Union navy, but when the Monitor arrived, she was able to hold the Virginia off and defend the Union ship Minnesota, which had run aground during the previous day's conflict. Though neither the Monitor nor the Virginia suffered serious damage, by the end of the second day's fighting, the Confederates decided to withdraw to Norfolk for repairs. The Virginia was scuttled just two months later when the Confederates abandoned Norfolk. The Monitor didn't fare much better--on December 31, 1862, she ran into bad weather off Cape Hatteras, North Carolina, and sank. The wreck was discovered in 1973 and is now the centerpiece of the Monitor National Marine Sanctuary. You can read more about efforts to preserve the decaying ship at http://www.marinersmuseum.org/uss-monitor-center/uss-monitor-center. Though the Brooklyn Navy Yard is now closed (and its famed Admiral's Row on the verge of destruction), you can go down to Battery Park, where a handsome statue stands to John Ericsson. In his hand, he clutches a model of the Monitor. You can also follow us on Twitter, Facebook, and have this blog sent to you via email. 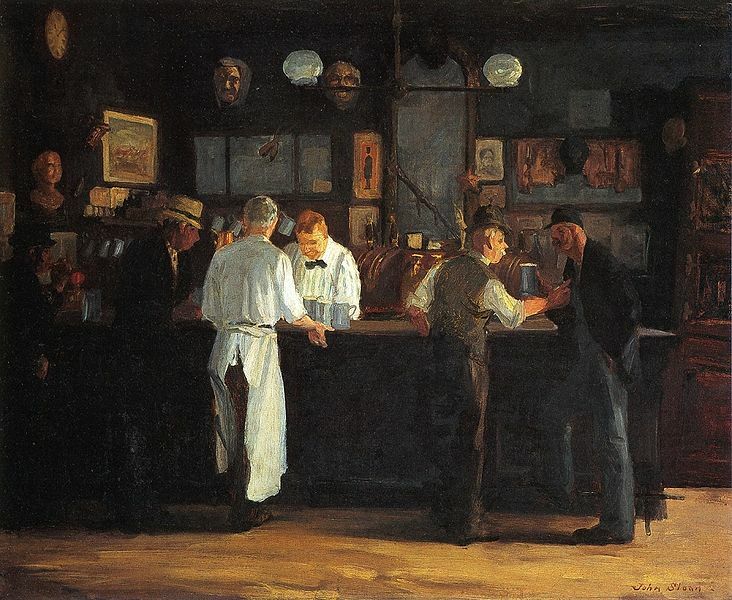 A century ago, John Sloan--a member of The Eight, perhaps New York's most famous group of early 20th-century artists--painted McSorley's Bar, the best-known of the many paintings and drawings he would create of New York's oldest bar. As we've noted in previous blog posts, McSorley's was founded in 1854. Not only had little changed when Sloan painted his interior in 1912, but little has changed today. The saloon continues to serve only one thing, its own ale, in two varieties: light and dark. The walls are still crammed with memorabilia stretching back to the saloon's founding. In 1928, Sloan returned to the saloon as the subject of a pair of paintings, McSorley's at Home, and McSorley's Cats. While the bar was famous in the 1920s for having well over a dozen cats in residence, the cat painting was actually based on a lithograph Sloan had made in 1913, which had already been widely reproduced. Sloan's final painting of the saloon was McSorley's Saturday Night, completed in 1930. It's interesting to note that these final paintings--which show a crowded, popular bar--were made during Prohibition, a law that McSorley's openly ignored. In 1941 McSorley's requested an autographed picture of the artist as many visitors "learned of the old place through your famous paintings of it and always ask if we have a photograph of you." 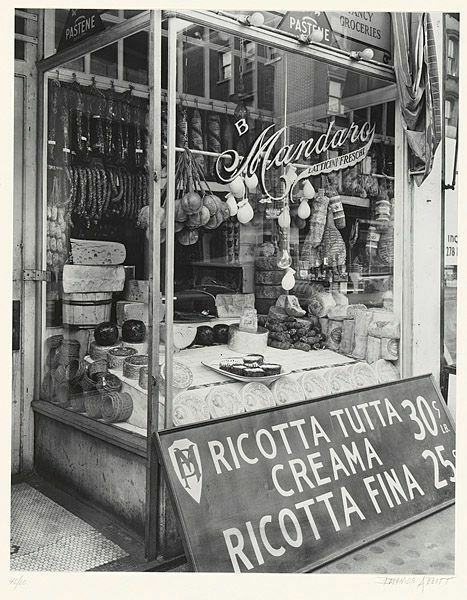 If anyone is the neighborhood, please stop by and see if John Sloan's photo is still hanging on the wall. Many things have remained unchanged about McSorley's in the last century, but one major change was the admission, in 1970, of women, who had been banned up to that point. Twenty-five years ago, in 1987, the bar finally added a women's restroom to accommodate female patrons. 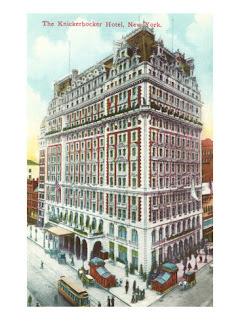 The other day, the New York Post reported that work is finally underway on the old Knickerbocker Hotel on 42nd Street. According to the article, the Knickerbocker, which was turned into office space years ago, will once again become a luxury hotel. The Knickerbocker was built by John Jacob Astor IV in 1906, and soon became a hot spot in the city. The bar, known as the Forty-Second Street Country Club, not only featured a free lunch, but also one of the most talked-about paintings in the city, Maxfield Parrish's Old King Cole. The massive mural depicts John Jacob Astor IV as Old King Cole. Taking a look at the painting, you can see that the king and his attendants are all making odd faces. According to lore, this is because Parrish was in a contest with other painters to see who could be the first to depict the act of someone passing gas. Evidently, Parrish won. 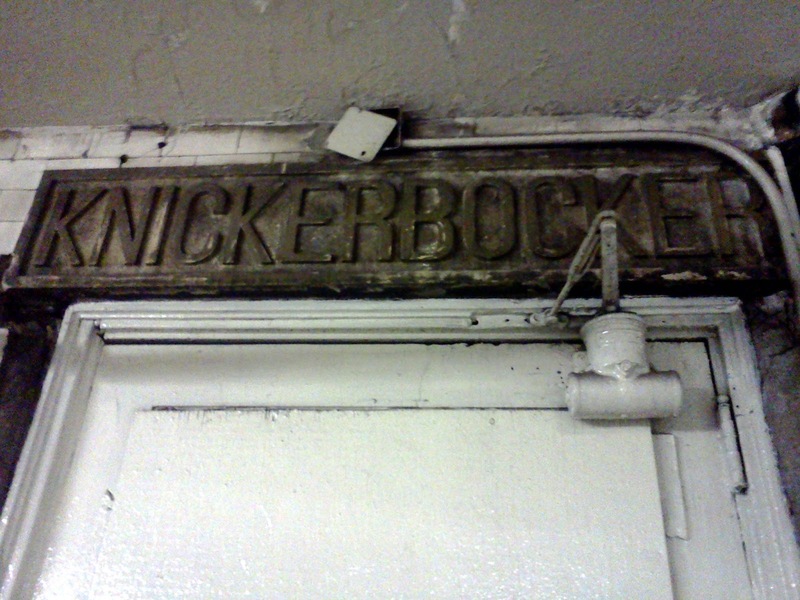 The Knickerbocker opened just two years after the completion of the first line of the IRT subway, and as one of its amenities, there was a private entrance to the hotel from the 42nd Street subway station. 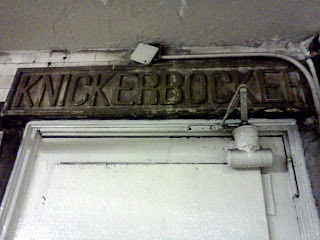 This entrance is still there--if you go down to the shuttle stop--which is the only part of the Times Square station that is original--you'll see the sign for the Knickerbocker emblazoned above a door in the corner. You don't suppose they'll reopen this when the new hotel is finished, do you? By the way, the Old King Cole mural left the Knickerbocker when the hotel was converted to offices, bouncing around New York until it found a home at the St. Regis, where it can be seen today. Today marks the birthday of Alexander Hamilton, America's first Treasury Secretary, and the man who hoped that his adopted hometown, New York, would be the capital of the United States. Hamilton was born on January 11, 1757 (though some sources argue for 1755), on the island of Nevis in the Caribbean. In 1773, Hamilton began attending classes at King's College in New York (which would change its name after the American Revolution to Columbia College). When the Revolution began two years later, Hamilton joined the New York militia and soon rose to become one of George Washington's most trusted aides. In May 1787, the Constitutional Convention began in Philadelphia, which...had long served as America’s political center. But congress itself had not been meeting in Philadelphia since June 20, 1783, when the State House had been surrounded by mutinous Pennsylvania soldiers looking for their Revolutionary War back pay. Under the Articles of Confederation, the federal government lacked the power to disburse the mob—and Pennsylvania’s executive committee refused to do so—forcing congress to flee to Princeton, New Jersey. Over the next two years, the seat of congress moved a few times until finding a home in New York City. Washington initially made only three cabinet appointments: General Henry Knox became Secretary of War, Thomas Jefferson—still serving in France as America’s foreign minister—became Secretary of State, and Hamilton was appointed Secretary of the Treasury and de facto Prime Minister. When Jefferson returned to America in 1790, he hurried to New York to assume his post—and to see what damage of Hamilton’s he could undo. He vehemently opposed Hamilton’s ideas regarding a central United States bank and a federal assumption of the debts the states had incurred during the war. But, it seems, he opposed locating the nation’s capital in New York even more. On June 20, 1790—exactly seven years after the Pennsylvania militia had forced the Continental Congress to flee Philadelphia—the capital was forced to move again, this time at a dinner party. At the dinner, which was hosted by Jefferson and James Madison at Jefferson’s home on Maiden Lane, the two Virginians told Hamilton that they wielded such sway in Congress that they could block Hamilton’s controversial banking measures. Conversely, they promised to ensure Hamilton’s bills went through as long as he didn’t oppose their quest to move the federal capital to the South. Hamilton, realizing that the needs of the Treasury Department outweighed his New York City pride, acquiesced. In August 1790, congress met for the last time on Wall Street. What most people remember about Hamilton today is not how he lived but rather how he died, slain in a duel by Vice President Aaron Burr. If you want to pay your respects to this New York founding father, you can head downtown to Trinity Church, Wall Street, where he is buried, or head uptown to Harlem, where his home, Hamilton Grange, is open for visitation. A couple of days ago, it was reported that the Jarmulowsky Bank Building at 54 Canal Street—once the tallest building on the Lower East Side—has finally sold. It was purchased by DLJ Real Estate Partners for $36 million, who are likely going to turn it into a hotel. The bank, completed in 1912, was not only the tallest building in the neighborhood, but served as a symbol of the Lower East Side’s prosperity. The bank’s founder, Sender Jarmulowsky, was born in the Russian empire (in what is now Poland) in 1841. Orphaned at age three, Jarmulowsky was originally on track to become a rabbi, but he had other ideas. In 1868, he and his new (and wealthy) wife moved to Hamburg to start a passenger ship ticketing business. The ticket business was simple: Jarmulowsky would purchase blocks of steerage tickets and then sell them on credit to Eastern European Jews eager to escape the increasingly harsh conditions of czarist Russia. Because Jarmulowsky could buy tickets in bulk and do so when prices were at their lowest (tickets were good for up to one year), he could make a profit while selling tickets at their high-season prices. 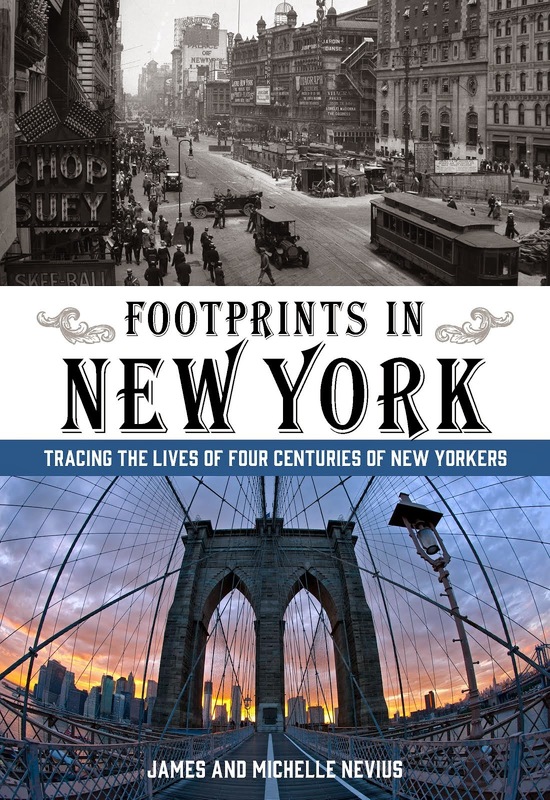 In 1873, Jarmulowsky emigrated to New York and established a ticket business on the Lower East Side—with a staff that spoke Yiddish and Russian—so that New Yorkers could buy passage for relatives in Europe. 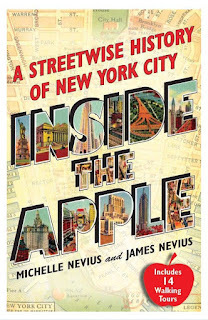 By 1878, Jarmulowsky had set up shop at the corner of Canal and Orchard streets; because so much money was flowing through his business, Jarmulowsky’s soon became an outright bank. In 1912, the current Jarmulowsky Bank building was erected by the firm of Rouse & Goldstone, who are best-known for their apartment buildings, including Marjorie Merriweather Post’s massive digs at 1107 Fifth Avenue. 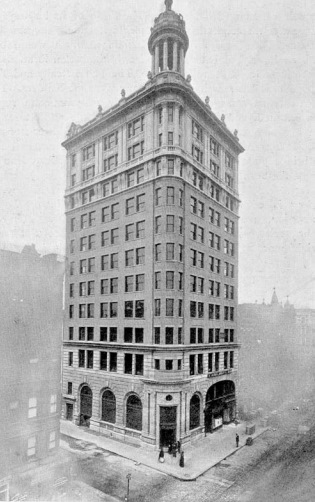 It is rumored that the cupola (which, alas, is now gone) was added to Rouse & Goldstone’s original plans in order to make certain the bank was taller than the nearby Forward building. Jarmulowsky died in 1912, soon after the building’s opening. His sons Henry, Louis, and Meyer took over their father’s operation. Because the passenger ship ticketing side of the business was increasingly difficult to run (big steamship companies began insisting that people purchase passage directly from them), the sons began investing the bank’s deposits in real estate. Though Sender Jarmulowsky had always been able to weather financial panics, his sons could not. When World War I broke out, nervous investors tried to pull their money—money the Jarmulowskys didn’t have. 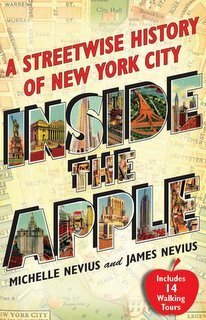 On August 4, 1914, the state took over the Jarmulowskys’ holdings, causing panicked investors to riot in front of 54 Canal Street. Over 3,000 depositors marched on City Hall, where some were beaten and arrested by police. 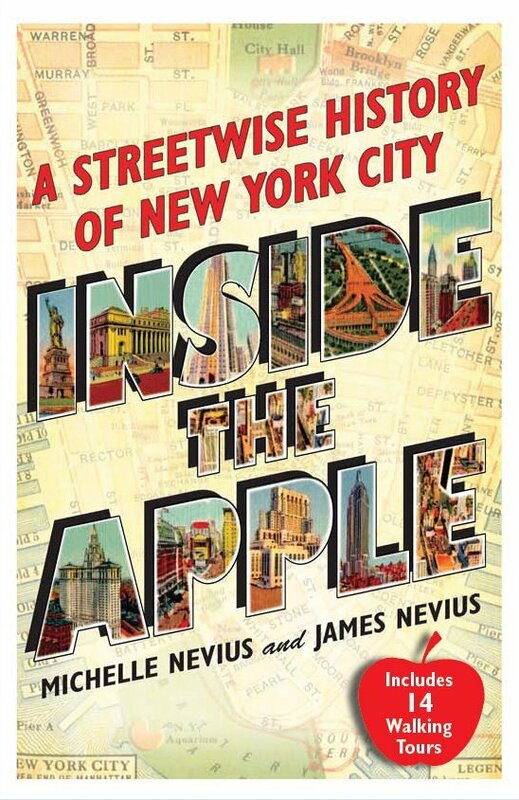 A month later, a smaller mob marched on Meyer Jarmulowsky’s apartment building on Fort Washington Avenue, causing the banker to flee out his fourth floor window, over the rooftop to an adjacent building, and down to a waiting taxicab below. Such shame was brought on the family, that later generations changed their name to Jarmel and Jarmuth. The bank never occupied more than the lower few floors of the building; the upper floors were designed to be garment factories, which they remained until the last decade. Though the building has been vacant for a few years, there were until recently still sweatshop exhaust pipes peeking out of some of the upper windows.